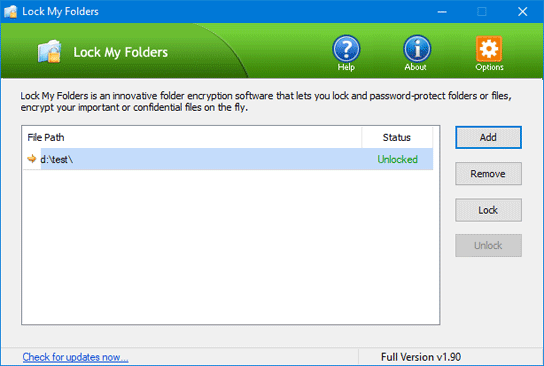 What is the best alternative to Windows Encrypted File System (EFS)? Need to secure your folder before sharing it with your friends? 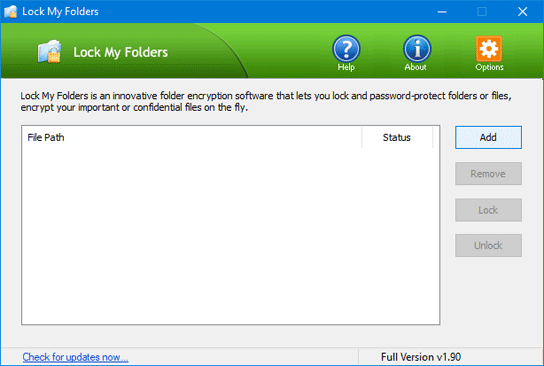 To prevent your sensitive data from being exposed or stolen, you can encrypt your folders/files with this software – Lock My Folders. 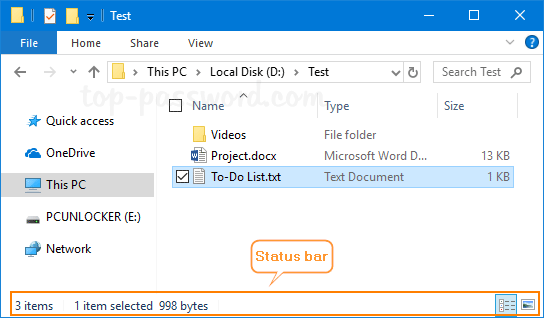 It provides automatic, real-time(on-the-fly) and transparent encryption for individual folder/file in Windows 10. To start, you have to download the Lock My Folders application. Once the download is complete, double-click on the setup file and go through the simple installation wizard. 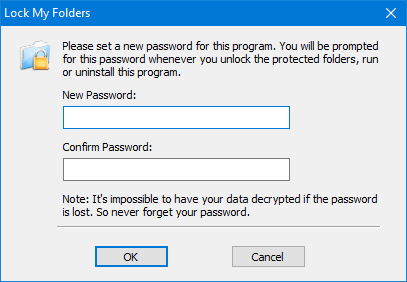 The first time you launch the program it will prompt you to create a master password that is used to encrypt and lock/unlock your secure folders. After running the Lock My Folders app, you can click on the Add button to create an encrypted folder. In the pop-up window, enter a name for the secure folder you want to create, and browse to the location you want to store it. Click OK. The newly-created secure folder will be shown as “Unlocked”. All files dropped in this secure folder will be encrypted automatically by Windows kernel-mode drivers. 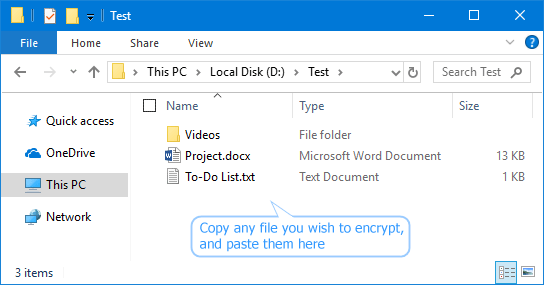 Now, you can open the secure folder in Windows Explorer and put all your sensitive files in it – whether they’re photos, videos, financial documents, or anything else. 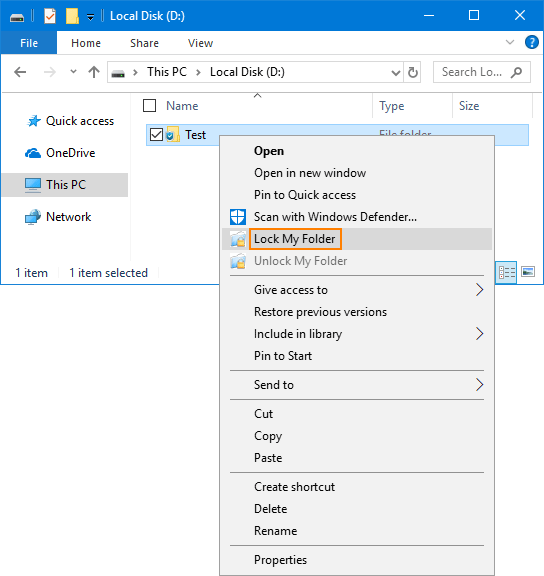 If you want to temporarily prevent others from accessing your secure folder, just right-click on it and select “Lock My Folders” from the context menu and make it inaccessible. 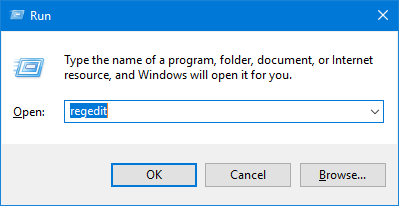 Every time you restart or shutdown your computer the secure folder will also lock itself automatically. 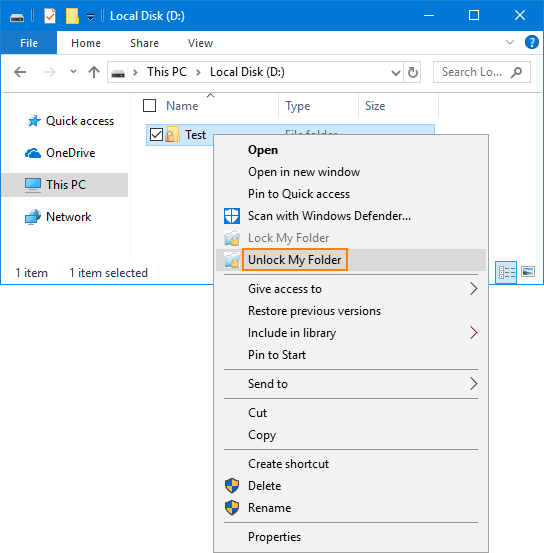 The next time you log into Windows, you need to unlock the secure folder with your master password before you can access it. When you need to transfer the encrypted folder to another PC or upload it to cloud storage, just open up the Lock My Folders program again. Select your secure folder and click on the Remove button. Click Yes to confirm. A restart is required before you can copy / transfer the secure folder. 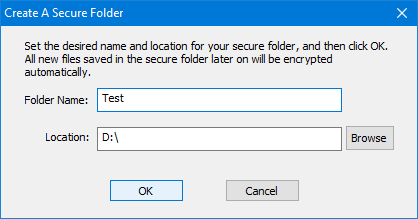 After restarting, all files in the secure folder should exist in encrypted format. You can confidently transfer the encrypted folder using a USB drive, and share it with your friends. Anybody can’t decrypt the secure folder without knowing your master password. 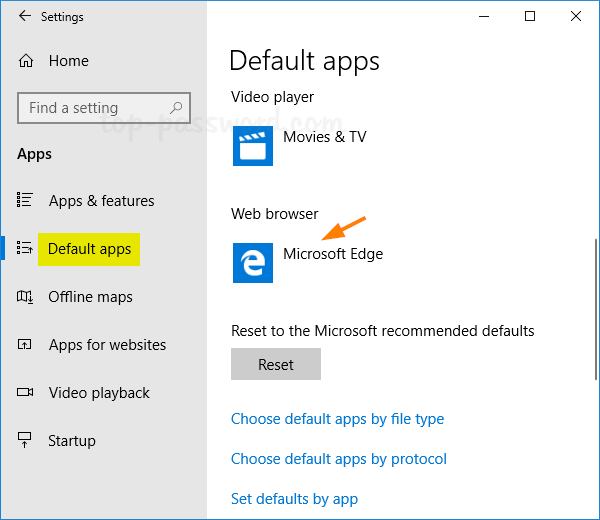 Can’t pin or unpin any app to the Start Menu? 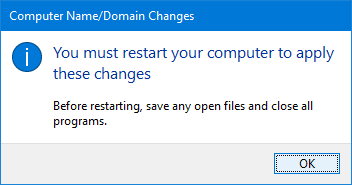 The “Pin to Start” option doesn’t show up after the latest Windows 10 update? 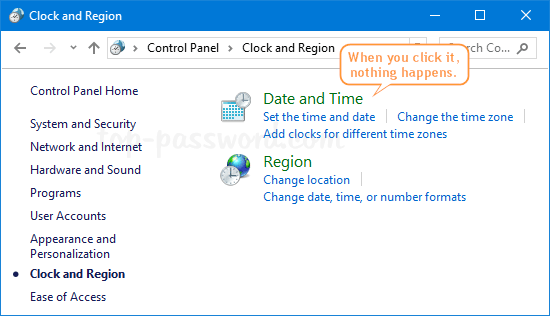 If you are facing this problem, here is the tutorial to restore missing “Pin to Start” context menu in Windows 10. 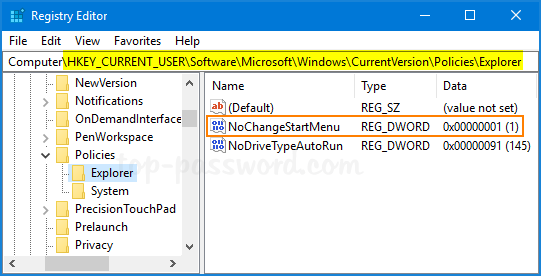 Press the Windows key + R keys to launch Run dialog box, type regedit and press Enter. In the Registry Editor window, paste the following into the Registry Editor’s address bar, and then press Enter. On the right pane, look for the DWORD value named as NoChangeStartMenu. If it is listed there, right-click and select the Delete option. Next, go to each of the following registry keys. 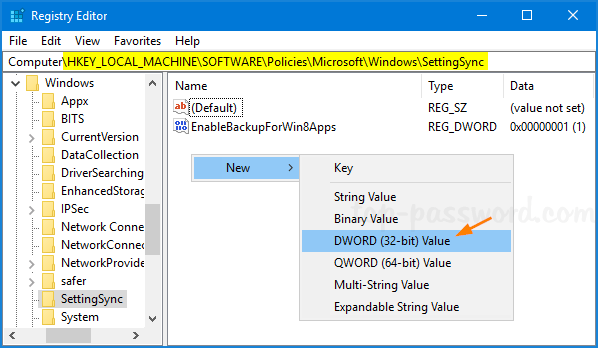 right-click the DWORD value LockedStartLayout to delete it if it exists. 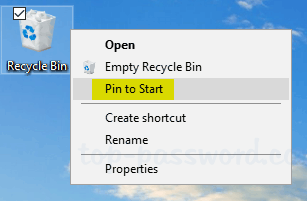 Restart your computer to check if the “Pin to Start” option is restored back to your right-click context menu. 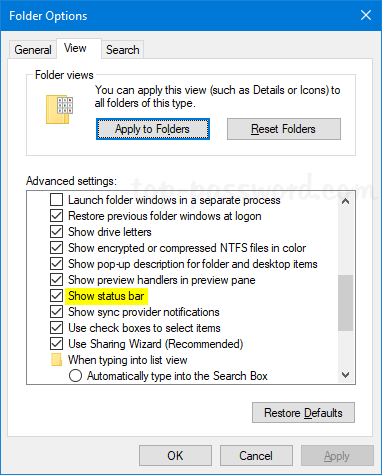 The above method will clear the policy settings for both “Prevent users from customizing their Start Screen” and “Start Layout“, and tell File Explorer to fix the “Pin to Start” context menu in case it’s missing or corrupted. Hopefully, your problem will be solved! Control Panel exposes lots of crucial settings that you might not want somebody else to mess with. 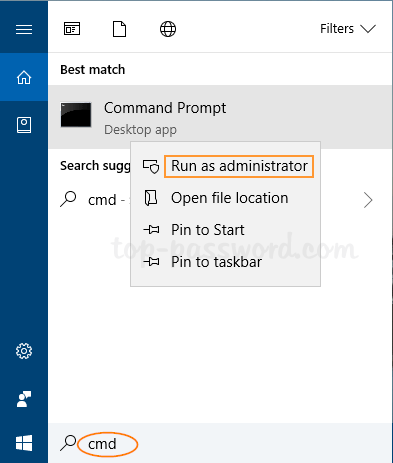 In previous post we’ve covered a way to hide specific Control Panel items using GPO, but that can’t prevent others from opening the hidden Control Panel item using Command Prompt. 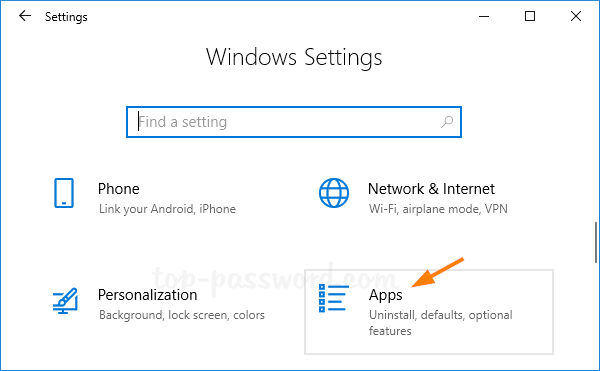 Here we’ll show you another way to disable specific Control Panel applets in Windows 10 / 8 / 7. How can I Disable Specific Control Panel Applets? Each tool in Control Panel is represented by a .cpl file in the directory: C:\Windows\System32. 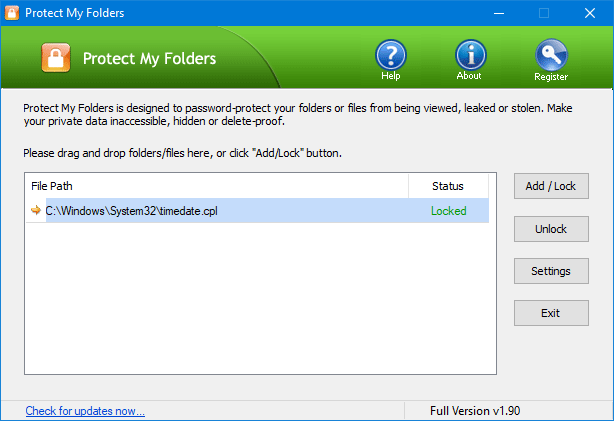 In order to prevent anybody from accessing specific Control Panel applets, we can lock down the .cpl files with the application – Protect My Folders. 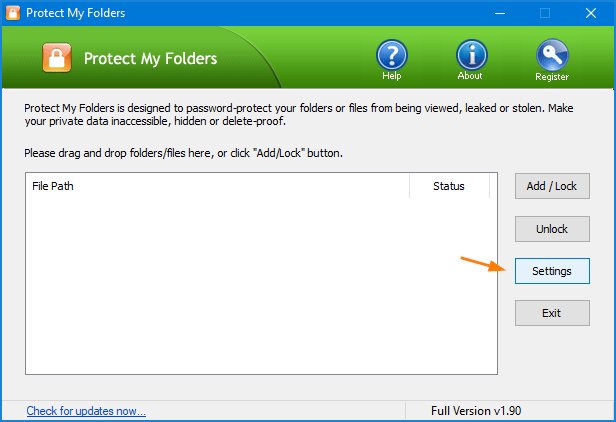 Download and install the Protect My Folders program. The first time you launch the program, you’ll be asked to set up a password to help prevent unauthorized users from opening it. Before locking down the .cpl files, you have to modify the program settings. Click on the Settings button. 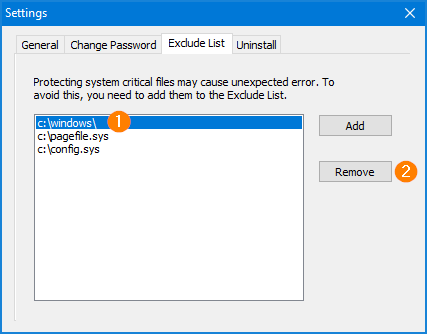 Under the “Exclude List” tab, select your Windows directory and click on Remove. Next, open File Explorer and navigate to C:\Windows\System32. You can search for all files with .cpl filename extensions, and double-click on each .cpl file to know if the Control Panel applet is the one you want to disable. 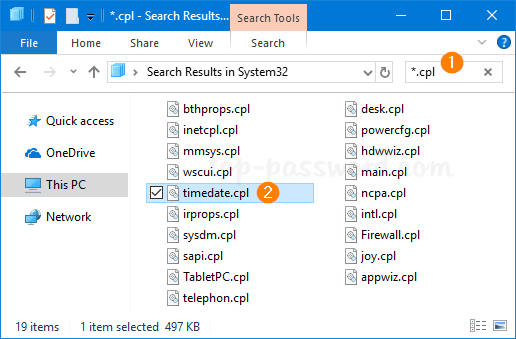 For example, timedate.cpl is the “Date and Time” applet, appwiz.cpl is the “Programs and Features” applet, etc. Just drag the .cpl files you want to restrict others from accessing, and drop them into the Protect My Folders program. Close the Protect My Folders program. Now, if you try to access the blocked Control Panel applet, it won’t open up any longer. 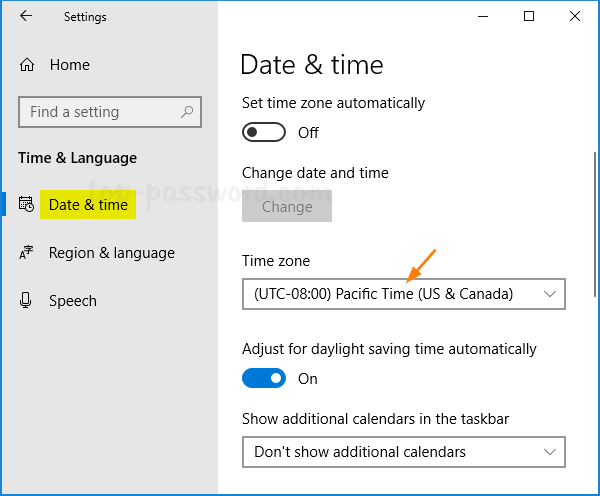 If your computer shows the wrong time, it’s probably because Windows fails to update the time zone based on your physical location, especially when you’re traveling overseas. 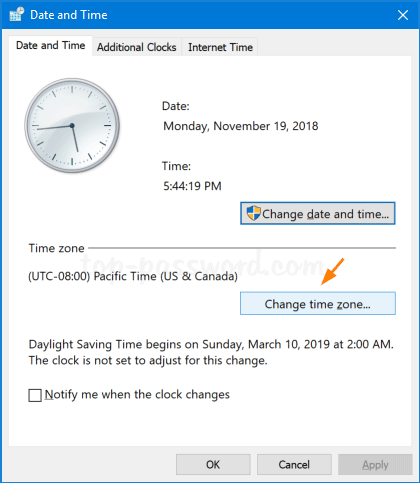 In this tutorial we’ll show you 4 simple ways to change time zone in Windows 10. 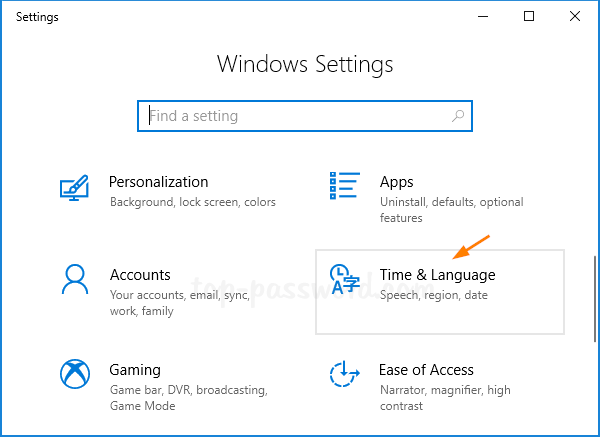 Open the Settings app and go to the “Time & Language” section. Select Date & time in the left-hand menu. 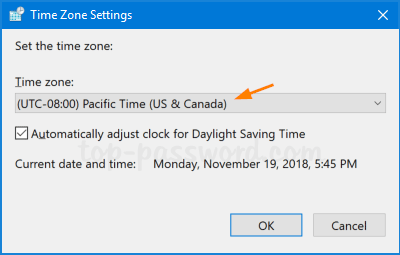 Make sure the “Set time zone automatically” is turned off, so you can then click the “Time zone” drop-down menu to set the correct time zone for your location. 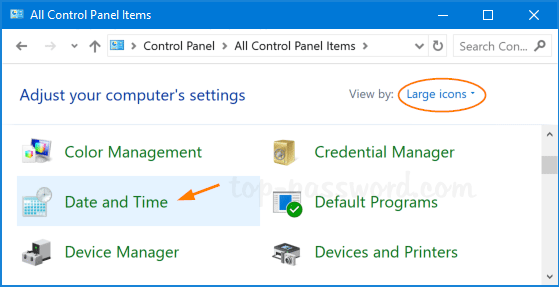 Open the Control Panel in Large icons view, and click on Date and Time. In the Time Zone Settings window, you can adjust the time zone based on your physical location. Click OK to save your changes. To view the current time zone, type tzutil /G and press Enter. 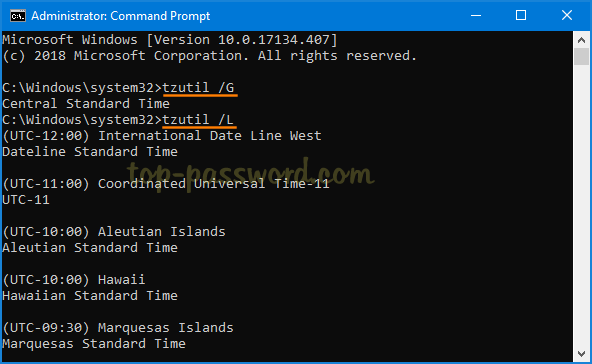 If you want to find out the list of all available time zones, type tzutil /L instead. You can find out your current time zone by executing the Get-TimeZone command. 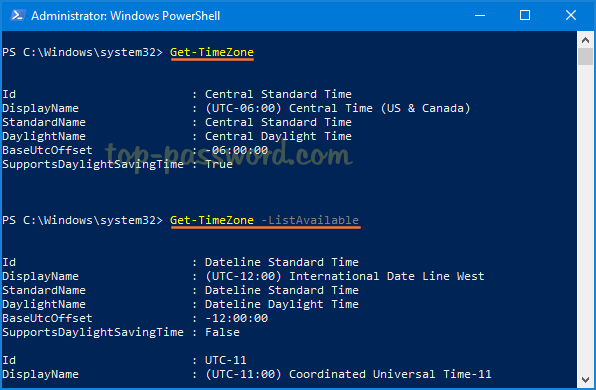 To list all available time zones, run this command: Get-TimeZone -ListAvailable. 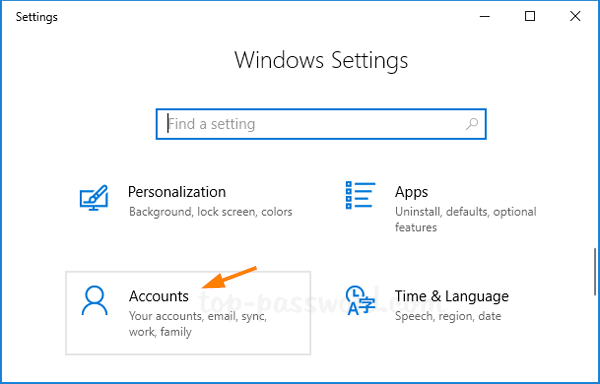 By default, Windows 10 will automatically sync your settings (including desktop themes, passwords, language preferences) across all your devices you sign into with the same Microsoft account. For security and privacy concern, you can selectively turn off password synchronization. 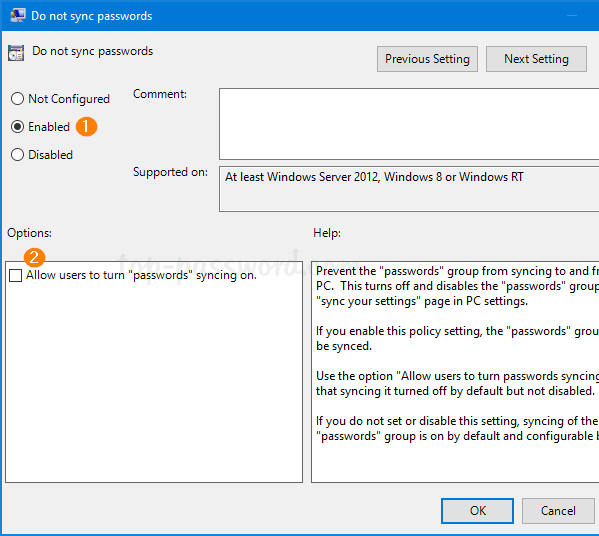 In this tutorial we’ll show you 3 ways to prevent Windows 10 from syncing passwords. Press the Windows key + I to open up the Settings app. Click on Accounts. Select Sync your settings in the left-hand menu. You can either disable syncing completely, or selectively turn off individual sync settings. Here we choose the Password option to toggle it off. Now, all your stored credentials in your browsers and Windows apps will not be synced to other devices. 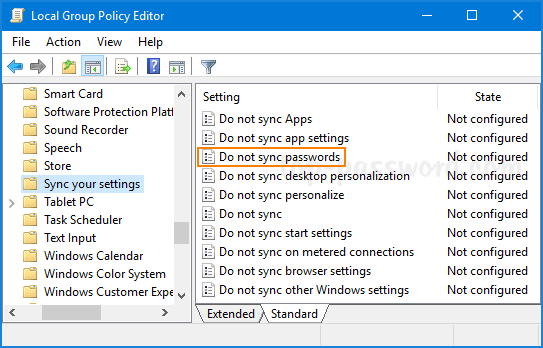 Next, double-click the “Do not sync passwords” policy on the right side. Select Enabled. 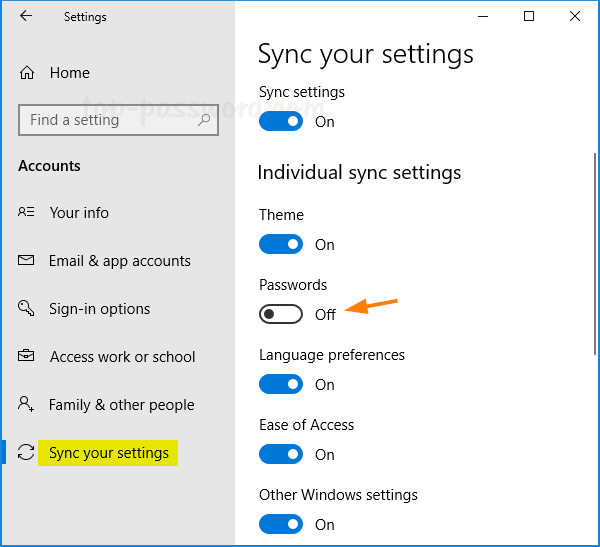 Uncheck the “Allow users to turn passwords syncing on” option if you also want to disable the “Password” sync setting in the Settings app. 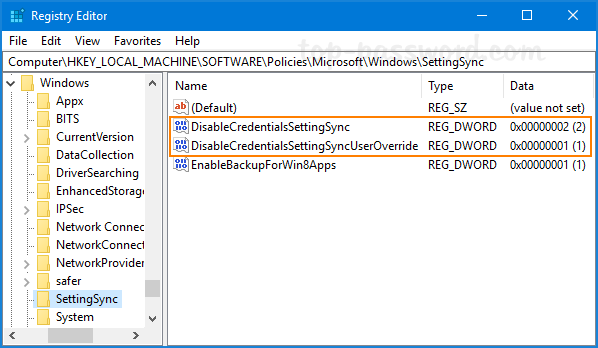 Open Registry Editor and browse to: HKEY_LOCAL_MACHINE\SOFTWARE\Policies\Microsoft\Windows\SettingSync. 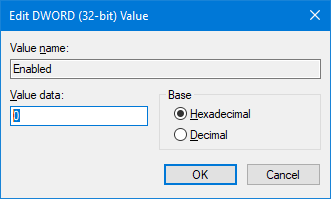 Right-click on blank area in the right pane, and select New -> DWORD(32-bit) Value. Name the new DWORD value DisableCredentialsSettingSync. Next, double-click it to modify. You’ll see the Edit DWORD (32-Bit) Value dialog box. 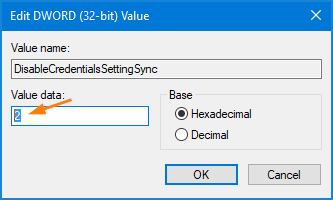 Enter 2 into the Value data and click OK.
Use the same method to create another DWORD DisableCredentialsSettingSyncUserOverride, and set its value data to 1. 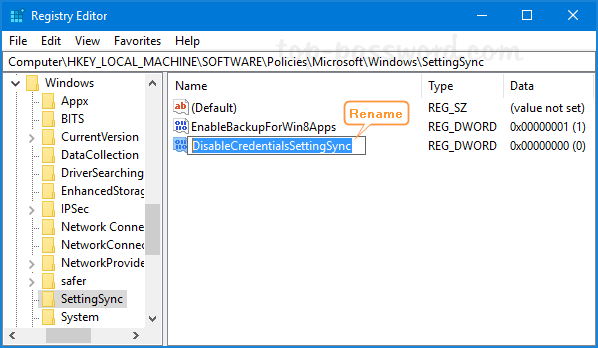 If you need to turn on password sync later, just change the value of the DWORD DisableCredentialsSettingSync to 0 and you’re done. When you click a hyperlink from any app, it will open up the web page in whatever default browser you have set. 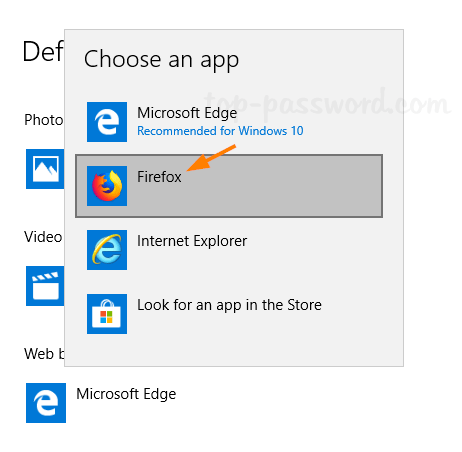 Microsoft Edge is the default web browser on Windows 10. 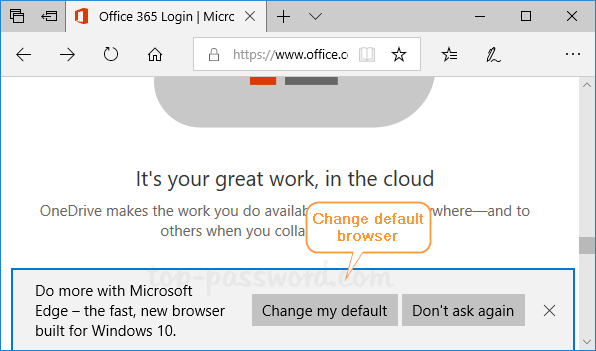 If you want to change default web browser to something else like Chrome or Firefox, follow the steps below. Press the Windows key + I to open up the Settings app. Click on the Apps icon. Next, select Default apps in the left-hand menu. Scroll down to look for a section called Web browser, then click on the icon of your current default browser underneath. In the resulting pop up menu, you can set the default web browser to Firefox or Chrome that is installed on your computer. 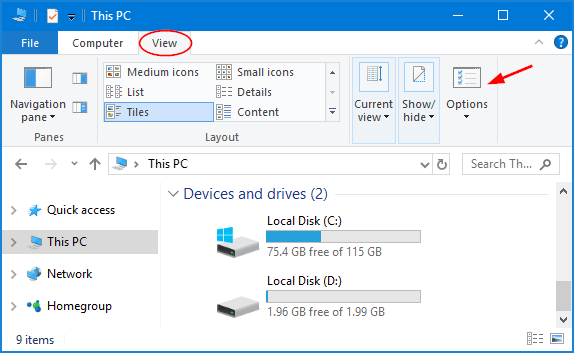 If your PC is part of a home network, you can see other computers in the same workgroup and access the resources (like files and printers) being shared by others. 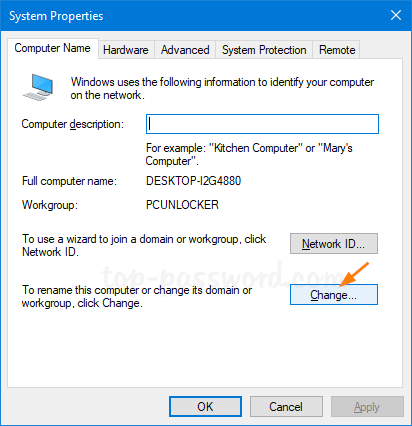 In this tutorial we’ll show you 3 ways to change workgroup name in Windows 10, if you need to join an existing workgroup or create a new one. Press the Windows key + R to open the Run box, type SystemPropertiesComputerName and press Enter. 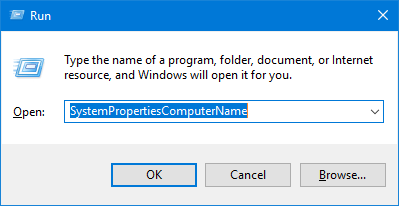 When the System Properties window opens, click the Change button. Select Workgroup under “Member of” at the bottom, and enter the desired workgroup name and click OK.
You’ll be prompted to restart your PC and apply the new workgroup name. Open an elevated Command Prompt, and run the following command. Replace “Workgroup_Name” with the new workgroup name. wmic computersystem where name="%computername%" call joindomainorworkgroup name="Workgroup_Name"
When the command is executed successfully, reboot your PC. Open the PowerShell as adminstrator, and execute the following command. 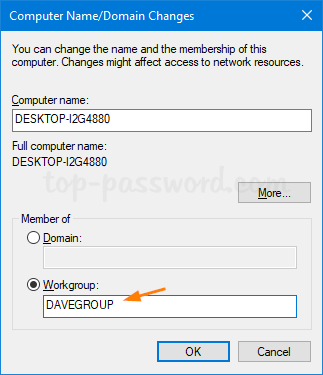 Substitute “Workgroup_Name” with the actual name of the workgroup you want to join. When finished, close the Windows PowerShell and restart your computer. 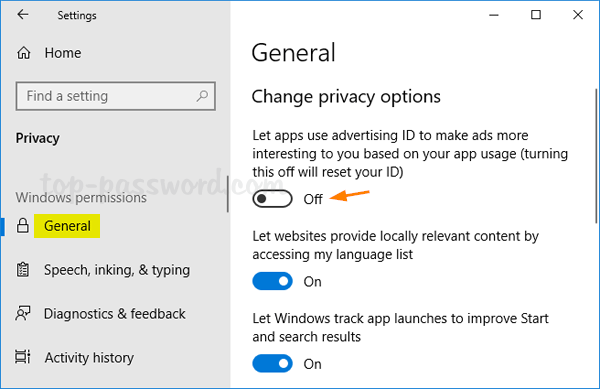 By default, Microsoft generates a unique advertising ID for each account to track your activity in Windows Apps to target you with relevant ads. 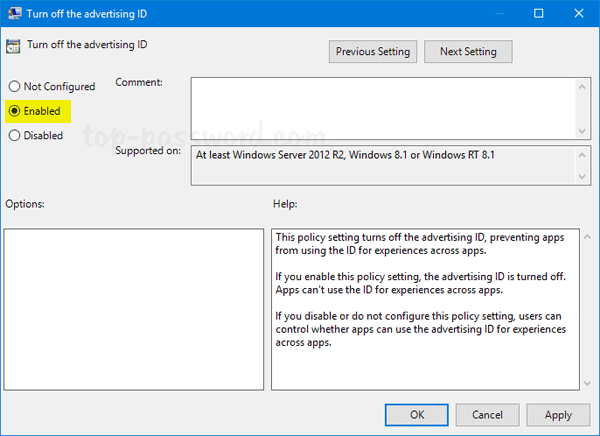 If you want to stop personalized ads from appearing on apps in your Windows 10 PC, here are 3 ways to turn off Advertising ID for your Windows account. Press the Windows + I keyboard shortcut to open the Settings app. Click on Privacy. Make sure the General tab is selected. On the right side, turn off the “Let apps use advertising ID to make ads more interesting to you based on your app usage“. Now you’ve reset your advertising ID. You’ll still see ads, but they won’t be personalized to your tastes and preferences. In the right pane, double-click on the 32-bit DWORD “Enabled” to edit it. Set its value to 0 to disable your advertising ID. If you want to turn on advertising ID, change the value back to 0. 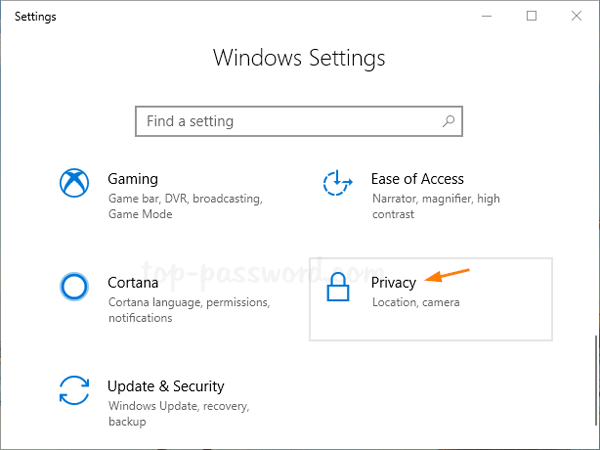 Now you should be able to use Windows 10 apps without getting targeted ads from Microsoft. Double-click on the “Turn off the advertising ID” policy on the right side to edit it. Now you’ve turned off interest-based advertising, but you will still see ads but they will no longer be as relevant to your interests. 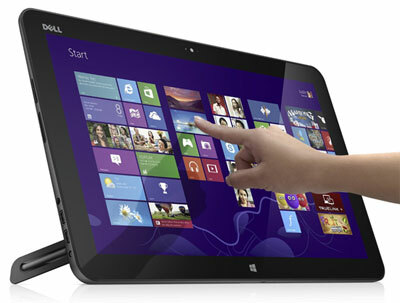 Many Windows 10 laptops and tablets ship with a touch screen. If you want to turn off touch screen function to prevent accidental input, you can disable it completely. 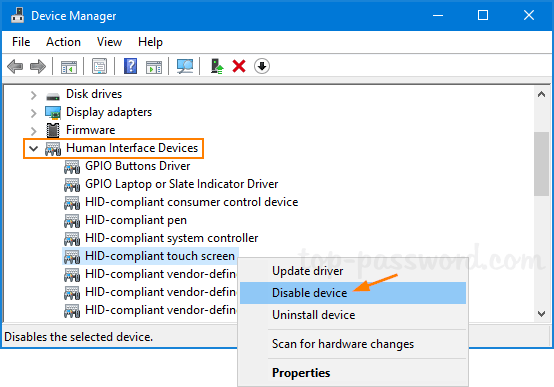 In this tutorial we’ll show you how to disable or enable touch screen on Windows 10 PC, using Device Manager or PowerShell command line. Press the Windows key + X to open the Quick Link menu and then select Device Manager. When the Device Manager window opens, click the little arrow next to “Human Interface Devices” to expand the category. Right-click the “HID-compliant touch screen” and choose Disable device. 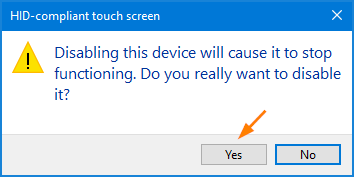 A pop-up will appear asking you to confirm disabling your touch screen. Click Yes. This change will take effect immediately. Try to touch your screen and it should stop responding. If you want to enable the touch screen again, just enable the “HID-compliant touch screen” device and you’re done!